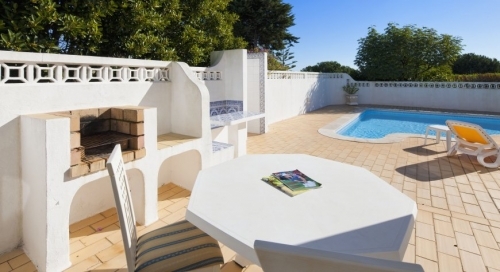 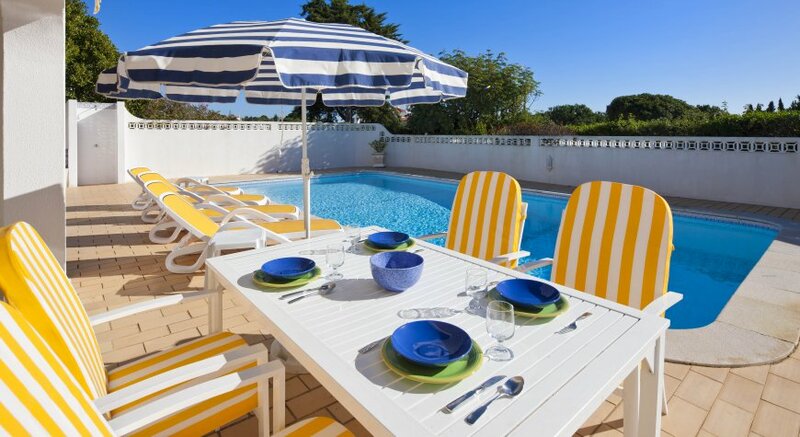 Located near Carvoeiro just 1.5 km from the sea you can do everything on foot from this Algarve villa with heatable private swimming pool, which is surrounded by greenery. 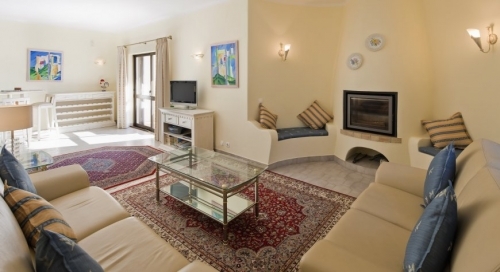 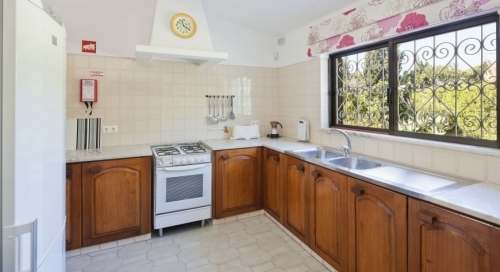 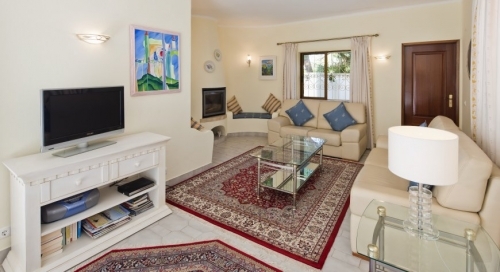 Villa accommodation for 4 people, 2 bedrooms, 2 bath/shower rooms, wifi, satellite television. 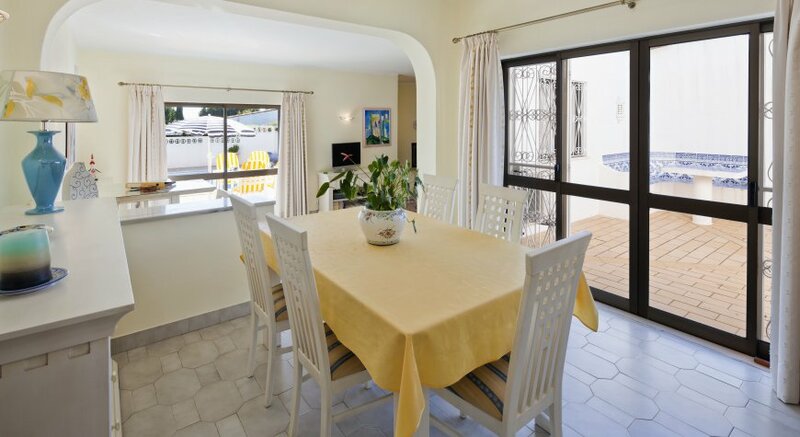 The house has a spacious living and dining room along with a fully equipped kitchen. 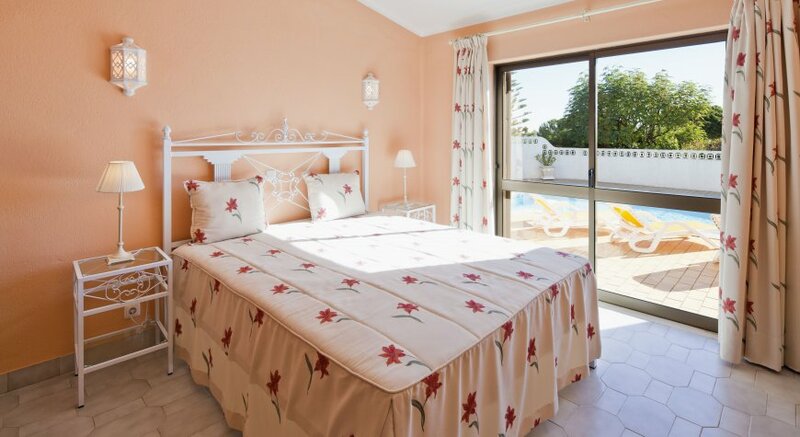 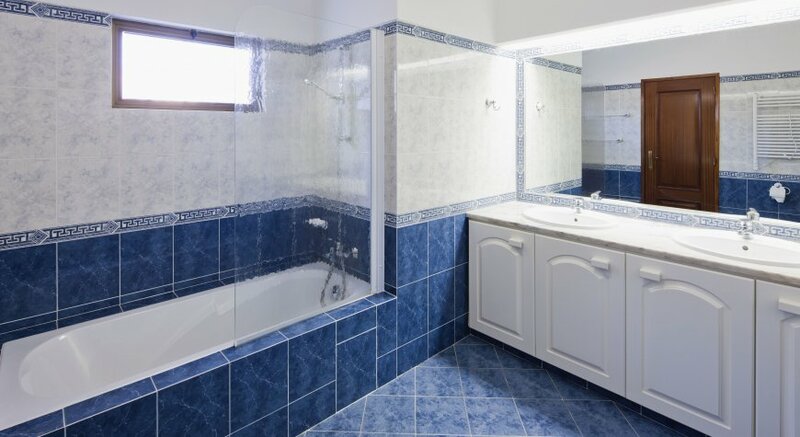 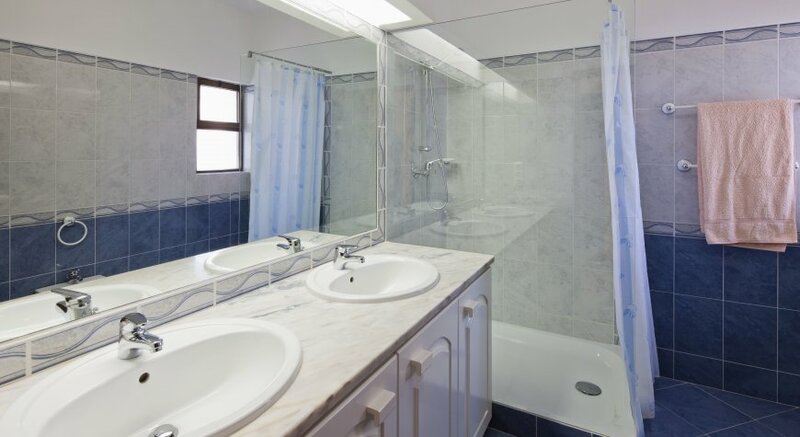 Double bedroom with en-suite bathroom and a twin bedroom (2 x 90 cm wide beds) with en-suite shower room. 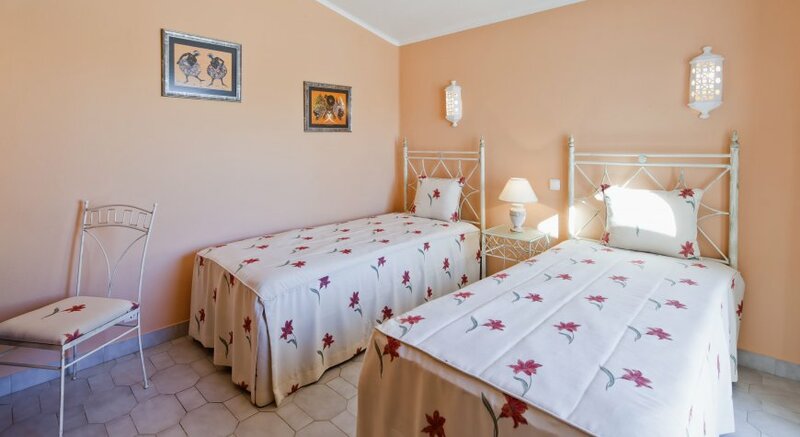 Both bedrooms have air conditioning. The enclosed garden is nice and private, it has an eight-metre long pool (which can be heated on request for a supplement) along with sun loungers, barbeque and garden furniture for eating outdoors. Security deposit: 350 € payable by bank card slip.